"So you're at my disposal?" Not exactly what Yosemite National Park guide Clark Johnson was expecting to hear from the raven haired artist, accompanied by her millionaire friends. Sure, he'd been assigned to guide Olivia Rutherford towards the park's splendid displays of natural beauty so that her paintbrush could capture their magnificence, but she is making it sound like he is nothing more than a glorified porter. "First chance he got, he'd be setting this little minx straight." How could Olivia have let herself be talked into returning to Yosemite? What happened in this park years ago changed the course of her life and the lives of her younger siblings, who are now dependent on her success for their livelihood. Living behind an assumed name and an altered persona might gain her notoriety in the art world, but stepping back into her family history is tricky business, especially when a handsome, rugged mountain guide's simple friendship and discerning gaze dares to chip away at her carefully applied facade. Clark Johnson honestly believes that Yosemite is God's creative masterpiece, and maybe it is. Enchanting, brimming over with descriptive scenery, and a bit unnerving at times, "Where the Fire Falls" is ultimately a freedom canvas; coloring in the emancipation of two pained individuals from the shame of their pasts; finding that "dis-grace is a human term . . . . . . God invented grace. " And the romance? . . . . . . . always and forever, unless greed finds a way to destroy the scene. I received a copy of this book from the publisher. The opinions stated are entirely my own. Stunning Yosemite National Park sets the stage for this late 1920s historical romance with mystery, adventure, heart, and a sense of the place John Muir described as "pervaded with divine light." Watercolorist Olivia Rutherford has shed her humble beginnings to fashion her image as an avant-garde artist to appeal to the region's wealthy art-collectors. When she lands a lucrative contract painting illustrations of Yosemite National Park for a travel magazine, including its nightly one-of-a-kind Firefall event, she hopes the money will lift Olivia and her sisters out of poverty. After false accusations cost him everything, former minister Clark Johnson has found purpose as a backcountry guide in this natural cathedral of granite and trees. Now he's faced with the opportunity to become a National Parks Ranger, but is it his true calling? 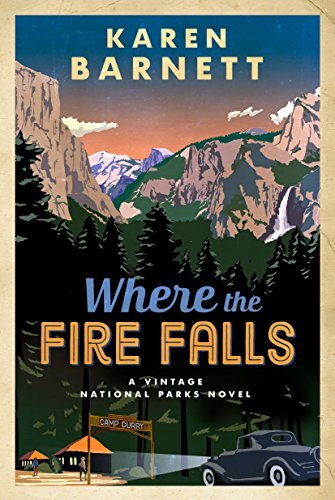 As Clark opens Olivia's eyes to the wonders of Yosemite, she discovers the people are as vital to the park's story as its vistas--a revelation that may bring her charade to an end. I SO want to read this. Karen's premise for this series is so fresh, and those covers!! AHHH. I love old travel posters. And Karen is a sweetheart. Thanks for the review, Rebecca! 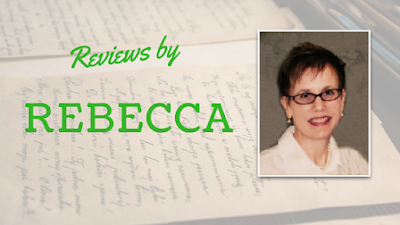 MEET BOOK BLOGGER SYDNEY ANDERSON!